Midgley of Almondbury, Nephi and Salt Lake City, Utah. Thomas Midgley, the son of Jonathan II or junior Midgley and Martha Beaumont was born 2nd April 1798 in Almondbury, he married Ellen (Collier) Hinchcliffe daughter of John Hinchcliffe and Hannah Collier on the 30th September 1821. Ellen was born 24th December 1801 at Almondbury. Thomas died 9th September 1870 in Nephi, Juab, Utah. Thomas and Ellen had eleven children in order of birth: Jonathan, John, Ann [Hannah], Mary Ellen, Joshua, Martha, Elliot, Ephraim and Benjamin. Another child, Thomas III Midgley may also have been theirs. There is a good possibility that Martha is descended from the Beaumonts of Almondbury, Netherton, Crosland Foss and Whitley Beaumont and thus Sir Robert Beaumont who features in the Elland Feud. This genealogy is being further explored. John, Martha, Elliot, and Ephraim died young, the remainder of the family migrated to America. In 1855 the family joined a 'wagon train' heading west but whilst crossing the River Platte Ellen became ill.
At the time of Ellen's death, Thomas Beaumont Midgley [husband] was age 57, Jonathan 33, Ann 29, Mary Ellen 25, Joshua 23 and Benjamin 12. The eldest child, Jonathan born at Almondbury, west Yorkshire is recorded as a schoolteacher in the 1880 U.S. census and died at Wales, Sanpete, Utah on 2nd February 1899 whilst Ann died 15th January 1911 at Nephi, Juab, Utah, U.S.A.
Mary Ellen Grow's mother, Ann Midgley, was the daughter of Thomas Midgley and Ellen Hinchcliffe. According to fsamily records the surname Midgley had its origin in the small town of Midgley in the West Riding of Yorkshire., England, where the family had been in possession of property for over 300 years. Thomas was born in Almondbury, Yorkshire, 2 April 1798 and married Ellen Hinchcliffe there 30 September 1821. Ann was the third of their eleven children all born in Almondbury. All members of the Thomas Midgley family joined the Church of Jesus Christ of Latter-day Saints in 1845 and 1846 and were anxious to go to Zion. Thomas and his two sons Joshua and Jonathan went first, found work and a home for the rest of the family in the Salt Lake Valley. With help from the Perpetual Immigration Fund Ellen and the five remaining children, ranging in age from 11 to 29 years, sailed from Liverpool on the "Samuel Curling" in April 1855 and a month later landed in New York. From there they went by rail to Pittsburgh, then down the Ohio River to Cairo, up the Mississippi River to St. Louis and from there to Mormon Grove in Kansas, the outfitting place for the Saints travelling West. On the trip across the plains, Ellen Hinchcliffe Midgley, a small woman 53 years of age, and a midwife, became ill with lung fever and cholera and died on September 4, 1855. The children buried her near the Platte River and because of the danger from Indians moved on toward the Salt Lake Valley to meet their father and two brothers with the sad news of their mother's death. Ann who was the oldest took responsibility for the family. On November 9, 1856, after being in the Salt Lake Valley for nearly a year, Ann married Henry Grow, a prominent Elder in the Church as his fourth plural wife. Henry was born October 1, 1817, in Philadelphia, Pennsylvania. He was a millwright and bridge builder. After being converted to the Church he and his first wife, Mary Moyer, moved to Nauvoo where he worked on the Temple. In April 1846 the persecution of the Saints became so severe in Nauvoo that most of the Saints prepared to go West. One night Henry heard a voice say "Get up and get out of here in the morning." 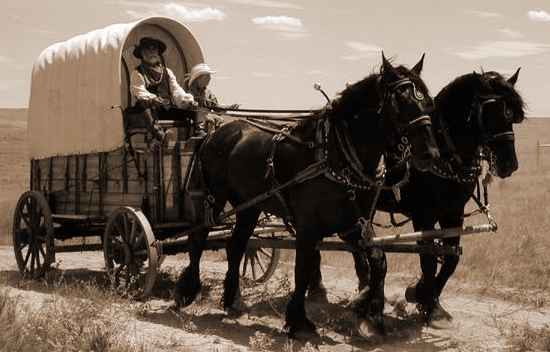 He arose the next morning, hitched a yoke of Cattle to his wagon, put in utensils, bedding and a tent, leaving everything in the house, and with his wife and their three children got in the wagon. When they had moved about 50 yards the mob fired a 12-pound ball through his house. Mother Ellen, age 53, was a small frail woman, but nevertheless she was active while crossing the plains in rendering service to those of the company who became sick with cholera. She was a midwife and by reason of her efforts was known as " Doctor Midgley." To the extent of her strength she treated many of the Saints in the company who became sick with the dreaded disease. Her ordeal was indeed a most difficult and trying one. She herself became extremely ill with lung fever and cholera. 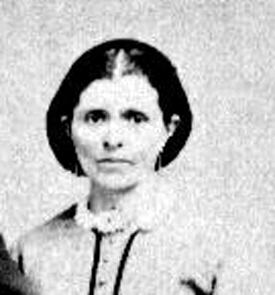 Her children and Ann Killip did all they could to care for her as she lay in a wagon of the moving train, but it proved to be in vain, and she was called to her eternal reward on September 4th (the uniformly accepted date of her death) at a point on "The south side of the North Platte River." In view of the dates and places given in Milo Ardus' letters, it seems certain that her death occurred in or near Ash Hollow in Nebraska Territory. Some have stated that the event happened about four miles east of the "last crossing" referred to above. If that was the place of her death, then the date of her death is wrong as that place was not reached until well after September fourth. (The memorial marker in Salt Lake Cemetery states that the death occurred in "Wyoming." In 1855, Wyoming was part of Nebraska Territory. 1. - Stephen Douglas Burton citing The Midgleys: Utah Pioneers, by Kenneth Eardley Midgley, Lowell Press, Inc. USA 198, p. 57. 2. Blanche Hesse Burton. page 8. 3. The Midgleys - Utah Pioneers, Lowell Press, pp. 56-58. 4. Great grandson of Thomas Beaumont Midgley of Almondbury - Leslie Grant Midgley - A prolific T.V. news presenter. A pioneering news reporter and producer. He was the maternal grandson of Heber Jeddy Grant (1856-1945), 7th President of the LDS Church (from 1918-1945). His fascinating autobiography, How Many Words Do You Want? (1986) scarcely mentions the Mormons after his youth and it is suspected that he was thus an apostate. His second wife, Betty Furness, actress and President Lyndon Johnson’s administrator for Consumer Affairs, was best friends with Deanna Durbin. Copyright © Tim Midgley October 2005, revised 6th April 2011.